As of today, Friday, May 15, 2015, the Mammoth Lakes real estate market has a total of 165 condos, 63 homes and 49 lots for sale on the Mammoth Lakes MLS. 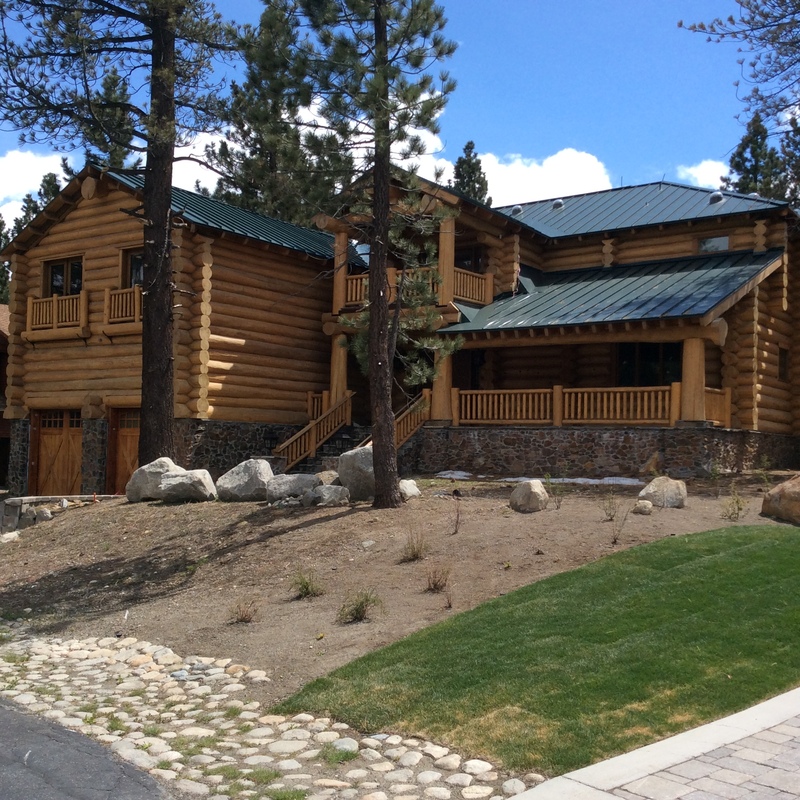 There is only a total of 41 pending sales (properties in escrow) for the Mammoth Lakes area. As springtime progresses, and with Memorial Day weekend just around the corner, the weather in Mammoth continues to be unsettled, which seems to have started on the Fishing day opener with the first measurable snowfall at the lower elevations in quite some time. The 10-day forecast shows off and on rain/snow showers through Saturday, May 23rd. 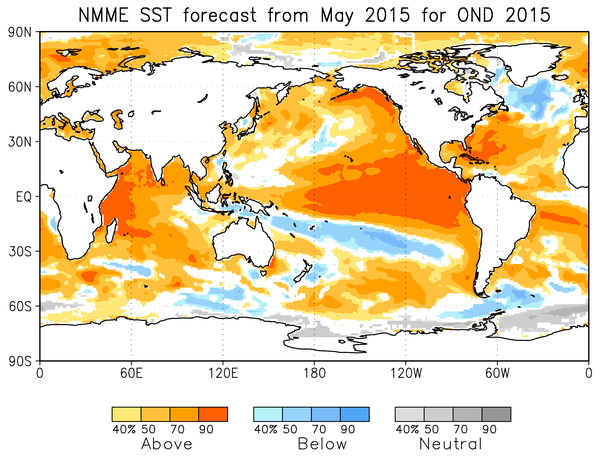 While we’re on the topic of weather, take a look at this interesting May 2015 ENSO forecast blog post from the NOAA Climate.gov website. If they are correct in their prediction of a highly likely and much overdue wet winter up ahead, California could get significant rain and the Sierra Nevada’s (where Mammoth Lakes is located) could get copious amounts of snow. Although it is quite possible that this trend could fizzle out by next winter, let’s hope it continues and develops into a strong pattern! Bank-Owned & Coming Soon to Market: 109 Starwood Drive, located in the Starwood luxury homes neighborhood, on the Sierra Star golf course. This impressive and regal log home boasts approximately 6,000 SF of living space with over 5 bedrooms, 6 baths, gourmet kitchen, attached 2-car garage, and opulent interior finishes throughout. This luxury home is due to hit the market as an “REO” (real estate owned = bank owned) in the next 2 weeks. It’s hard to say where it will officially list, but if I had to guess, I would estimate somewhere around $1.8 Million (because it backs to Minaret Road instead of golf course), which would be an amazing deal considering the size and expense, which went into building this custom palatial log home. The property has been a work in progress over the past several years. The home has never been occupied and received the Certificate of Occupancy within the past year. Contact me with questions or to schedule a showing once it officially lists. Bank-Owned & Coming Soon to Market: Snowflower #25, located across the street from Snowcreek condos on Minaret and Meadow Lane. This southwest corner spacious 3-level townhouse has 2-bedrooms & loft, and 3-baths with beautiful views of Mammoth Mountain and Mammoth Rock. A convenient shuttle bus stop is located in front of the complex and complex offers great resort amenities such as tennis court, swimming pool, spas, and sauna. The Snowflower condos complex is meticulously well-maintained and landscaped and is located across the street from the Snowcreek Meadow Preserve. The sellers had paid $680,000 in December of 2006, but more than likely, given the recent closed sales within the complex, this condo will probably list somewhere around $350,000. 87 Mammoth Knolls, Mammoth Knolls Homes for Sale: This quaint log cabin built in 1976, which is listed for $595,000, features 2 bedrooms and 2 baths with approximately 1,360 SF of living space, and a detached 2-car garage. Although the listing details show that it has 3 bedrooms, legally, there are only 2 bedrooms because the third room (downstairs behind the living room) doesn’t have a closet. This room could easily be used as an office or small den. The location of this property is incredible, about a 5-minute walk to the Village at Mammoth, and it has a great forested setting backing to USFS land. The property is in need of some serious maintenance, such as staining and sealing the exterior, re-chinking between the logs, bathrooms need to be gutted, all of the windows need to be replaced, etc. 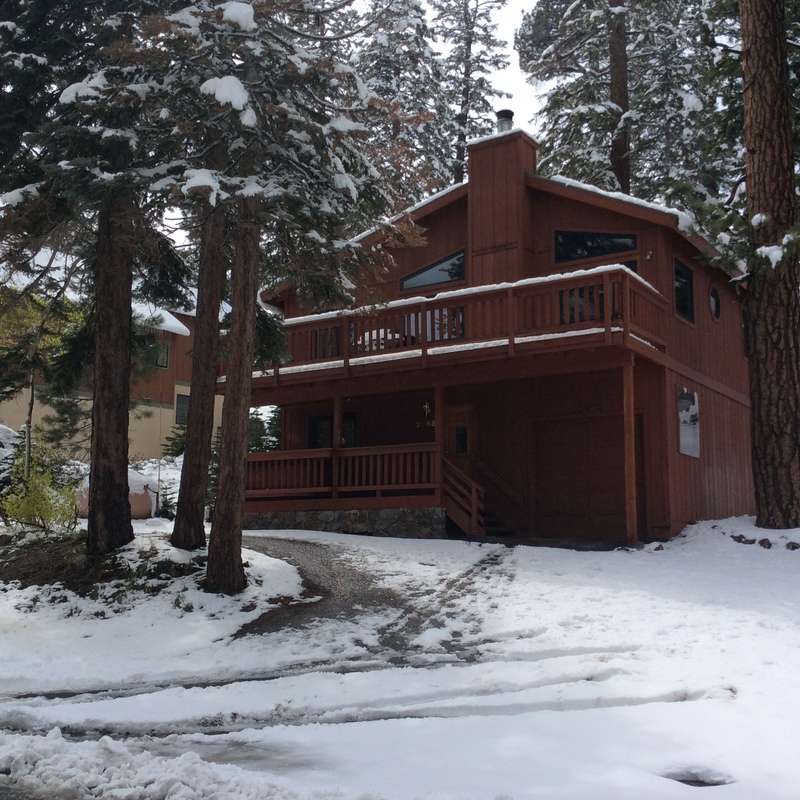 So, at the right price, this cute little cabin has a lot of potential because of the great neighborhood and close proximity to the Village at Mammoth. 2068 Forest Trail, Mammoth Slopes Homes for Sale: Built in 1988, this is a very clean, solid and meticulously well-kept home located in the Mammoth Slopes subdivision. Listed for $625,000, and featuring 4 bedrooms, 2 baths, an attached 1-car garage, and approximately 1800 square feet of living space, this property is located very close to the corner of Forest Trail and Lakeview, which has a shuttle bus stop to take you to the ski area. It’s almost close enough to walk to Canyon Lodge (if you’re wearing snowboard boots, not ski boots). There is a spa located on the lower deck in the front of the property, a large upper deck, all of the windows have been replaced (and most of them can actually be opened, which is rare to see in Mammoth), and the house is being sold fully-furnished. This property is pretty much turn-key and ready to enjoy. 265 St. Anton Circle, Mammoth Knolls Homes for Sale: This 3-bedroom, 2.5-bath home in the Mammoth Knolls with approximately 1,992 square feet of living space just listed for $625,000. Built in 1972, the current sellers bought this bank-owned property for $401,000 in January of this year (2015). It needed a ton of work, which some of the much-needed items like a full kitchen remodel, new roof, carpet, and paint throughout have been done. However, the most important item that could justify a list price of $625,000 (which would still be a little high) would be the addition of a garage, which this property still doesn’t have. Other than that, it has a great location, which is walking distance to the Village at Mammoth, and is located in one of Mammoth’s better neighborhoods in the Knolls. 166 Red Fir Road, Old Mammoth Homes for Sale: This cabin-style home was built in 1979 and features 3 bedrooms, 2 baths, attached 2-car garage, and approximately 1,980 square feet of living space. What I really like about this home is the nice level lot and south-facing orientation in a quiet and scenic part of Old Mammoth. You won’t have much traffic going past this property at any time of the year, so if you’re looking for a little elbow room, privacy, peace and quiet, this might be a good fit. Listed for $649,000, the price per square foot equates to $327.78, which is in the ballpark for a list price on similar homes in Mammoth. The kitchen and baths have been remodeled with granite counters and new cabinets, and the upstairs great room features an open floor plan. The front deck has Trex decking and offers some nice views of Mammoth Mountain and the Sherwins. This home is being sold partially furnished. 520 Golden Creek Drive, Snowcreek Condos for Sale: Built in 1987, this light and bright 3 & loft, 3.5-bath town house with attached 2-car garage in the Snowcreek IV condos development offers approximately 2,521 square feet of living space and a spectacular setting right on the Snowcreek meadow preserve with a creek running behind the property. The views of Mammoth Mountain are amazing and the floor plan is spacious and comfortable with en suites in each of the 3 bedrooms. This town house also has established rental income history, and grossed $39,547 in 2014. A true sanctuary backing to a pristine setting! For questions or to schedule a showing appointment for any Mammoth Lakes real estate listings, please contact me directly.